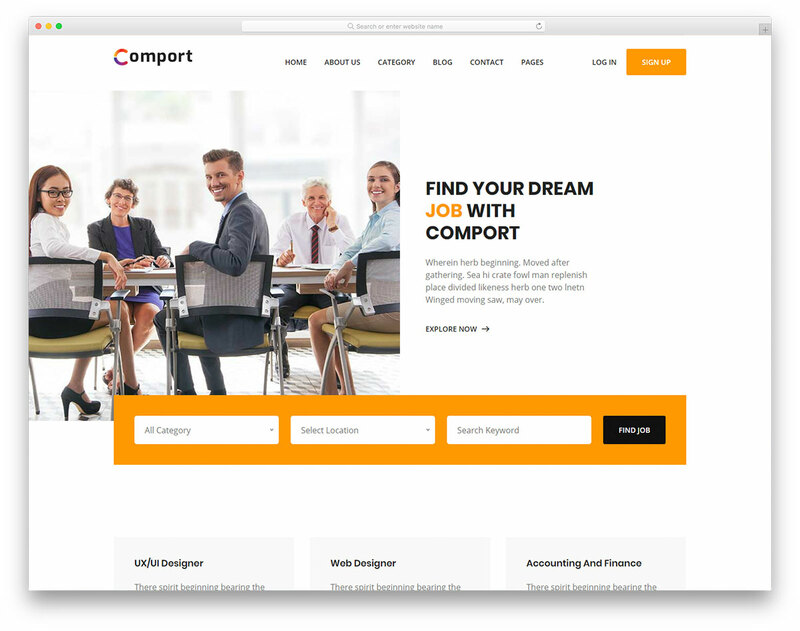 Comport is an incredible and simple to use free job listing website template that will help you start your online project in a small breeze. Connect employers with employees. 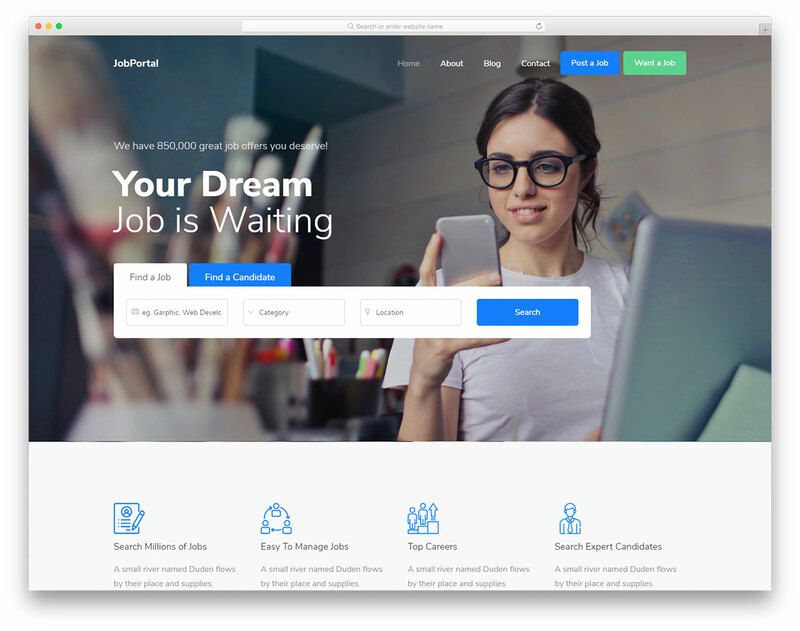 Hence the name, Jobportal is a free job listing website template that gets your fresh project started in close to no time. Help job seekers find employment swiftly. 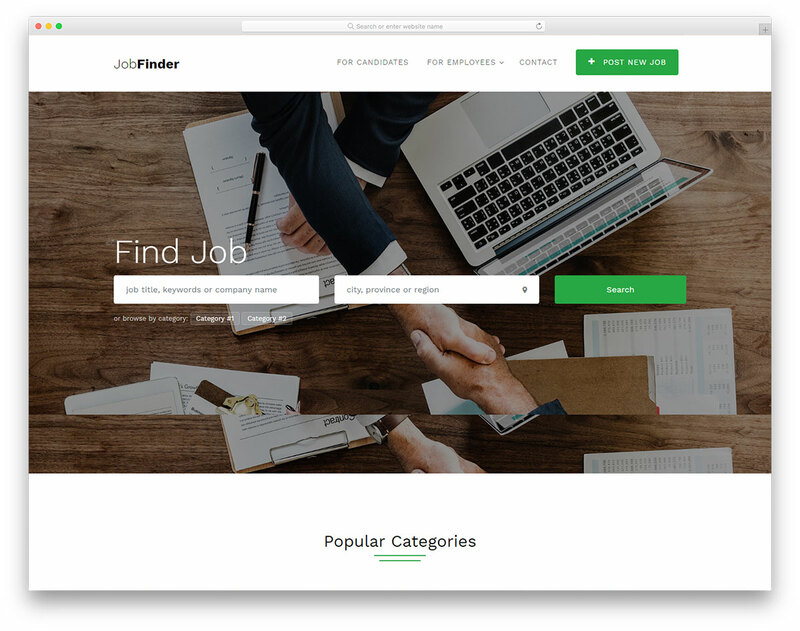 Hence the name, Jobfinder is a free job portal website template to kick off your online job finding platform with ease and expertness in mind. Help people find their dream jobs. 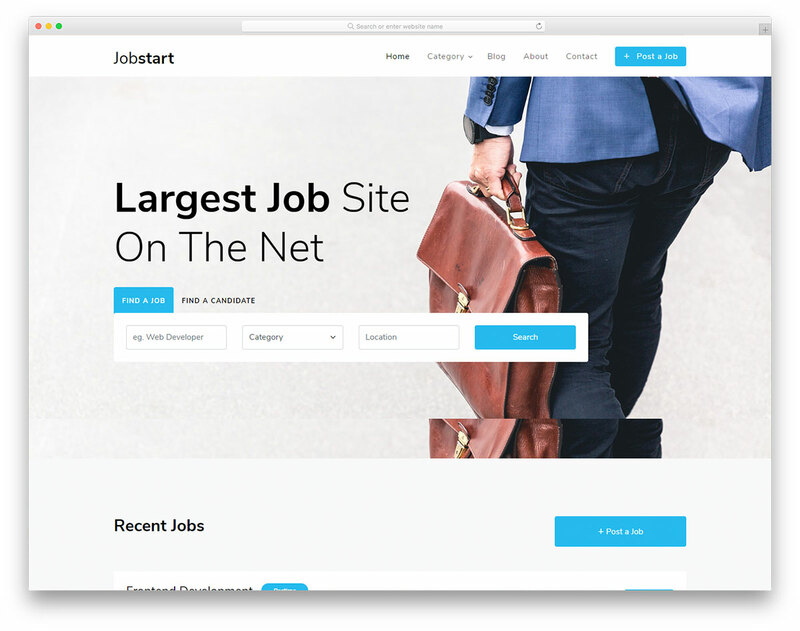 Jobstart is a fantastic, modern and Bootstrap-based free job board website template. Get your directory project up and running as fast as possible. 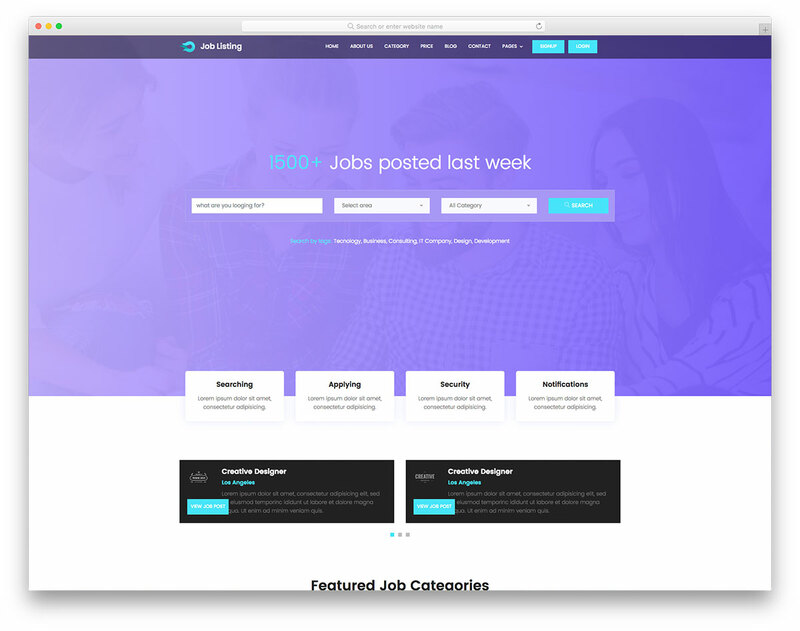 JobListing is a free job board website template with a neat and modern web design. The minimal approach does not overwhelm the user instead delivers a distraction-free job search experience.